D-Tools and The Cinema Designer Announce Integration Partnership | KMB Communications, Inc.
CONCORD, CA — February 2018 — D-Tools Inc., the worldwide leader in system integration software, and The Cinema Designer (TCD), a two-time CEDIA award-winning cloud-based cinema design software, today announced the official integration between the two platforms. 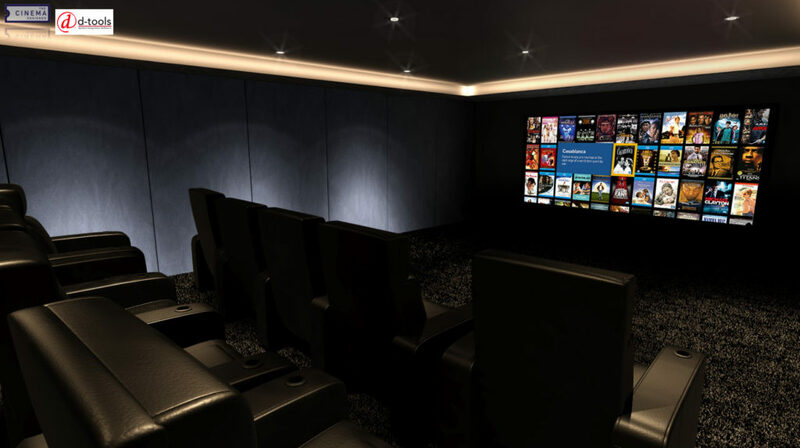 System Integrators using the platforms will benefit from the ability to seamlessly use TCD’s home cinema design tool with D-Tools’ System Integrator (SI) platform for a powerful, timesaving, all-in-one cinema design and documentation solution. Available now, these powerful software tools can streamline an integration firm’s process from initial cinema concept and design, through to calculating local area pricing for products and labor. The combination of D-Tools’ award-winning estimation, design and documentation capabilities, along with TCD’s award-winning cloud-based home cinema design tool provides system integrators and installers with a complete solution to streamline the manual, labor-intensive process of designing a technically perfect residential theater, while taking care of all estimation and project management – allowing both D-Tools and TCD customers to realize substantial cost savings and return on investment. “The integration with The Cinema Designer will greatly benefit our customers who are designing dedicated cinemas and media rooms, providing a connected workflow from conception through installation—helping them confidently deliver projects of the highest quality to their customers,” said Tim Bigoness, CMO of D-Tools. D-Tools users designing home cinemas using TCD software will save themselves weeks of work. For instance, once a cinema design is completed in TCD, it can then be quickly exported to D-Tools SI via a .CSV file, with local area pricing, Tax, required labor and associated costs fully calculated. Users will also be able to determine the full complement of I/O connections for all relevant cinema products, as well as importing TCD’s 3D CAD drawings into Visio. 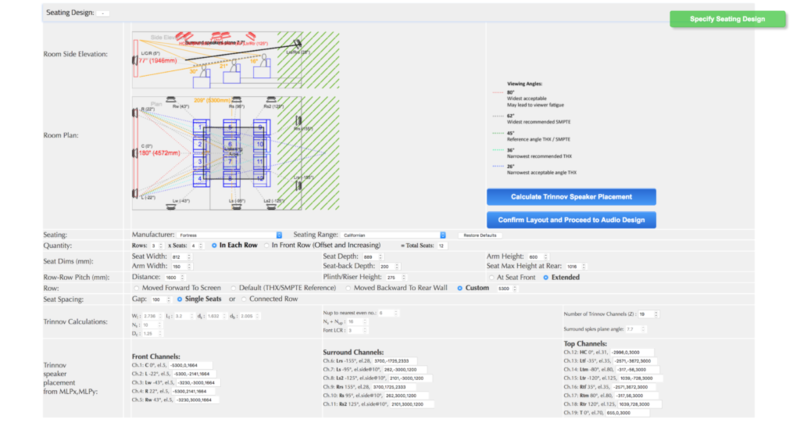 D-Tools’ proposal and project management feature-sets, integrated with TCD’s technical aspect of residential theater design, equips system integrators and installers with a faster, technically accurate method of designing and specifying home cinemas. Users of this integrated solution will be able to more effectively manage every aspect of a project from initial client contact through estimation, system design, and installation, giving them a distinct advantage in the marketplace. Those interested in learning more about the new D-Tools and TCD’s integration should visit http://d-tools.com/the-cinema-designer/. To learn more about The Cinema Designer and the company’s cloud-based cinema design solution, visit https://thecinemadesigner.com. For more information about D-Tools and the company’s award-winning System Integrator software platform, sign up for a free online guided tour by visiting http://d-tools.com/live-demo-webinar/ or for a free 30-day trial, which can be downloaded by visiting http://d-tools.com/30-day-free-trial/. The Cinema Designer (TCD) is a cloud-based, interactive, standards-driven online tool that calculates in minutes what would typically take an experienced cinema designer weeks to design, producing a complete 30+ page cinema design proposal including audio and video calibration reports, aesthetic renders reflecting the finished room, and 3D CAD drawings of the room. TCD brings the entire cinema design process into one place: the user enters the dimensions of the room and then works methodically through the entire cinema design. TCD specifies the precise location of the loudspeakers, screen, seating, projector, provides amplification and processor requirements, acoustic treatments, calculates the RT60 value, and much more. Using TCD is the only way home technology professionals can accurately design technically perfect high render channel count immersive audio home theatres in such a short space of time. The software is available to users all over the world, producing documentation that meets the minimum standard required to enter the CEDIA Awards in its cinema and media room design categories. 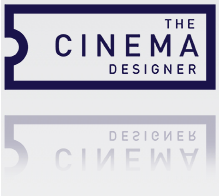 For more information about The Cinema Designer’s subscription options and to create an account, visit the website at https://thecinemadesigner.com. For TCD software updates and news, follow The Cinema Designer on Twitter, Facebook, LinkedIn, and Instagram. The Cinema Designer: Guy Singleton, The Cinema Designer, welcome@thecinemadesigner.com.